Millions of people around the world won’t go hungry thanks to your help. We did it — your hard work has paid off! The Global Food Security Act has just been passed by Congress, and is on its way to the president’s desk to become a law. Thanks to the more than 120,000 actions taken by Global Citizens, the Global Food Security Act will help more of the world's poorest get enough food to eat without costing US taxpayers a cent. "This game-changing development initiative ... has helped increase economic growth and stem the tide of global hunger, poverty and malnutrition over the span of just a few years," President Obama said in a statement. "While we've already accomplished so much through this collaborative global partnership, I know that with the continued effort and support that this legislation provides, we can achieve what was just a few years ago the unimaginable: We can end global poverty and hunger within our lifetimes." 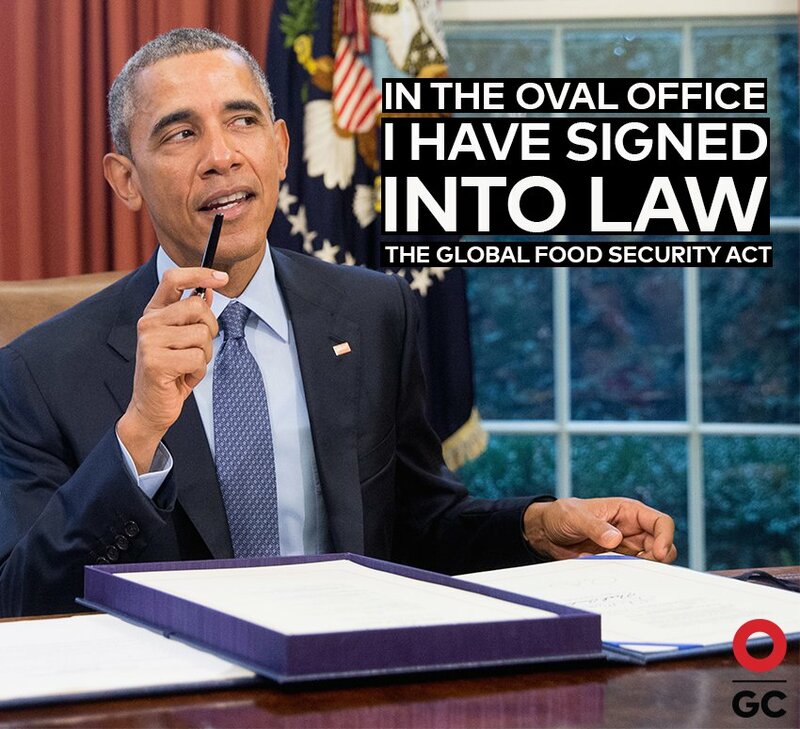 Now, read about what is the Global Food Security Act. And then learn how you helped make this happen. Back in 2014, Global Citizen joined a coalition of NGOs who were working to get the Global Food Security Act passed. After discussion with the policy experts, it was clear that if the bill was to pass, it needed more public support, and it needed a higher profile in Congress — both things that we could help drive forward as Global Citizens. We joined a coalition of groups campaigning for the bill’s passage that included CARE, ONE, Caterpillar Foundation, Oxfam, World Vision, InterAction, Bread for the World, Farm Journal Foundation, and Save the Children. 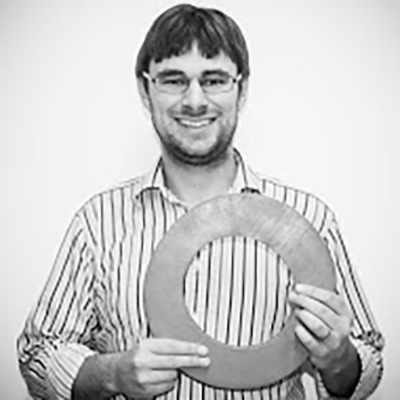 Over the past two years, Global Citizen has led the coalition on public and media mobilization. Global Citizens like yourself took more than 120,000 actions which helped secure congressional support. Global Citizen also hosted events for public figures to show their support of the bill and helped get media coverage of the bill. All of these moments were vital in securing the passage of the GFSA into law. Global Citizen began to advocate for the GFSA in 2014. Thousands of Global Citizens wrote letters to their congressperson urging them to support the legislation. The House passed that bill, but it stalled in the Senate and didn’t get a vote before the 113th session of Congress ended. Feeling energized, Global Citizen went to work in the 114th Congress. After the bill was introduced in the House, we hosted the Global Citizen 2015 Earth Day event, with 270,000 Global Citizens joining us on the National Mall in Washington, D.C., to call for action on issues including this bill. We invited Rep. Betty McCollum (D-MN) to announce her support for the GFSA on stage. Her statement of support was quickly joined by Sen. Johnny Isakson (R-GA), Rep. Dave Reichert (R-WA), and Rep. Ed Royce (R-CA). To succeed, our coalition believed that we needed 100 congresspeople to sign on as cosponsors to the bill. At that end of June 2015, we had 50. So we launched a petition calling for support the bill in June 2015 — 86,000 Global Citizens signed. And 34,000 Global Citizens made phone calls to their local reps asking them to support the Global Food Security Act. Behind the scenes, we worked with partners like CARE and ONE to leverage this groundswell of support through coordinated meetings on Capitol Hill. By November 2015, your voices and our work with partners helped secure 100 cosponsors. With this goal met, Global Citizen pushed its advocacy efforts into full gear ahead of GFSA coming up for a vote in both chambers. Coordinating with sector partners, we called almost every office and urged them to vote in favor of the bill. 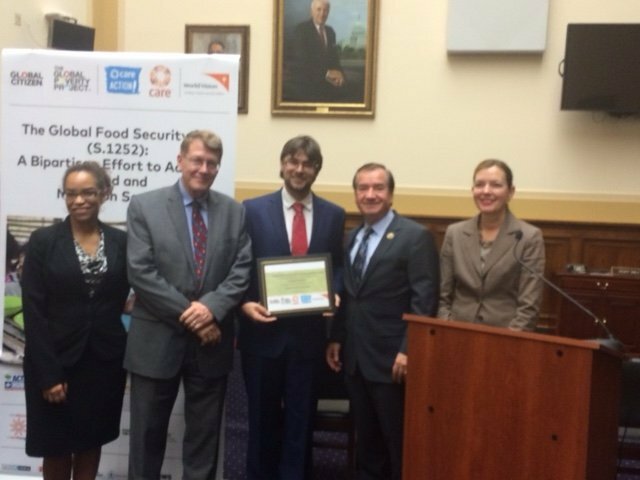 The hard work paid off, and the Global Food Security Act (H.R. 1567) passed the House on April 12. The Senate passed the bill on April 20. Yes — we did it! Right? Or wait…no, not quite. The House and the Senate passed slightly different versions of the bill. While there are several ways this could be resolved, the best path forward for the bill was for the House to pass the Senate’s version of the bill, so Global Citizen and our many partners got to work. We worked closely with private sector partners and the NGO coalition to call on congresspeople to pass the bill. Thousands of Global Citizens tweeted, and hundreds more placed calls to congressional offices voicing their support of the GFSA. Two weeks before the vote, we organized an event in Congress with CARE and World Vision to recognize the leadership of our co-sponsors, with seven key Members of the House of Representatives attending to confirm their support. And, the week before the bill was scheduled to come to a vote in the US House, Global Citizen coordinated a blitz day with sector partners, contacting all US House offices and urging them to vote in favor of food and nutrition security. As a result of our efforts alongside the tireless campaigning of our partners, the bill passed the House on July 6 by a vote of 369 to 53. The bill was subsequently signed by President Obama on July 20, 2016, ratifying the important legislation into law and making US food security investments more efficient and effective - a step in the right direction to ensure that no one is hungry by 2030. The passage of this bill is an example of Congress showing up to support crucial legislation. How do you, as a Global Citizen, #shOwup? Show us on Twitter or Instagram with the hashtag #shOwup, and you could be featured on GlobalCitizen.org.